We are proud to announce that Rancho Tesoro Community Association has selected Tinnelly Law Group as their associations’ legal counsel. Rancho Tesoro is a new master-planned community by Brookfield Residential. Located in San Marcos, residents will enjoy a resort-style pool area, playground, BBQ pavilion, trails, and three private parks. 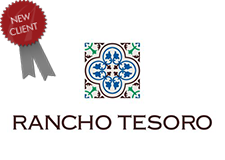 Our HOA attorneys and staff look forward to working with Rancho Tesoro’s Board and management.